In its latest 2014 edition, the Berlitz “Complete Guide to Cruising & Cruise Ships” has awarded top honours to two Hapag-Lloyd ships, with the new Europa 2 joining her fleetmate Europa as the only cruise ships in the world to be awarded the coveted 5-stars-plus rating. The Europa 2 makes the news once more with two Transatlantic crossings, her first to and from New York, in 2014-15. 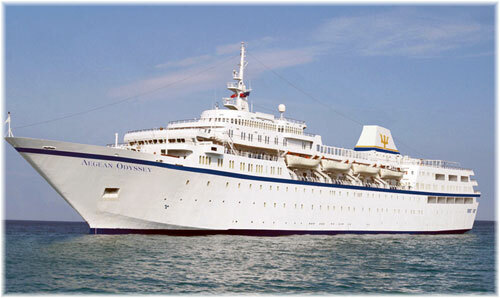 And Voyage to Antiquity’s Aegean Odyssey will be heading for East Africa and the Indian Ocean in 2014-15. For the first time in its history, the Berlitz “Complete Guide to Cruising & Cruise Ships” has awarded its rare 5-stars-plus rating to two ships, both owned by Hapag-Lloyd Cruises. The 2014 edition of the popular guide has awarded the two Hapag-Lloyd fleetmates Europa and Europa 2 the highest distinction, making the line and both ships global leaders. Scoring 1,860 points out of a possible 2,000, the 516-passenger Europa 2 achieved the highest score. Her fleetmate, the 408-passenger Europa, has also once more been included in the 5-stars-plus category, with 1,851 points. This allowed the two ultra-luxury ships to take first and second place not only overall, but also amongst the top ten small ships carrying up to 750 passengers. Meanwhile, Hapag-Lloyd Cruises’ 184-berth expedition ship Hanseatic was ranked first in the top ten boutique ships with up to 250 passengers, improving her score with 1,765 points. As the only expedition ship to be awarded five stars, she is featured in the top ten list of boutique ships for the first time. The 164-berth Bremen also improved her score with a total of 1,555 points, and was awarded a 4-stars-plus rating. Said the guide’s author Douglas Ward, “In the 29-year history of Berlitz ratings, this is the first time two cruise ships are in the exclusive 5-stars-plus club. No other ships currently achieve such a high standard, which are set by the Europa and Europa 2 and their crews. The Europa 2 has also achieved the highest score ever in the history of the book. She offers a great space per passenger ratio, much light through the high windows, an excellent and high-class culinary choice and attentive and unobtrusive service,” explained Ward. “We are especially proud to be global leaders in the luxury sector with both ships,” said Karl Pojer, chief executive officer of Hapag-Lloyd Cruises. “This score is a special distinction for the crews of the Europa and Europa 2, who are setting the bar in the sector with their quality and service. It is also a huge ‘thank you’ to the team in Hamburg and a welcome affirmation of our strategy in the luxury and expedition sectors,” said Pojer. The Berlitz cruising guide tested 285 cruise ships around the world and scored them based on criteria such as ship decor, menus, restaurant quality, service, crew, entertainment and the cruise experience. Still in the news, the Europa 2 will be undertaking her first Transatlantic crossings, westbound in November 2014 and eastbound in April 2015. On November 25, 2014, Europa 2 will depart Funchal, Madeira, on an 11-night crossing with six days at sea and a call at Hamilton, Bermuda, on December 2. After arriving in New York at noon on December 4, she will spend two nights in port, with passengers remaining on board until they disembark on December 6 for their flights back to Europe. This crossing will be followed by a 14-night West Indies cruise leaving New York on December 6 and completing in Miami on December 20. 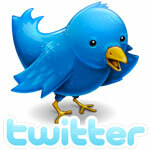 A call in Curaçao on December 16 will ensure that she does not contravene any US coasting laws. She will then depart Miami on December 20 on a 14-night round trip Christmas and New Years West Indies cruise before circumnavigating South America for the first time and returning to Miami once more on March 18, 2015. 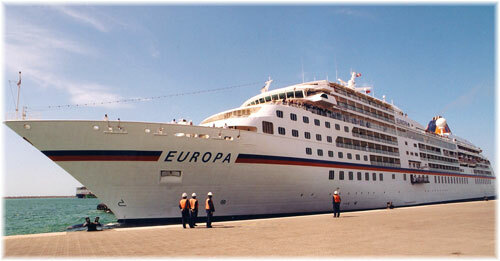 On March 18, Europa 2 will depart Miami on a 14-night West Indies cruise, returning to New York on April 1. A March 22 call at Curaçao will once again ensure that all is legal with the US coasting authorities. Voyages to Antiquity have just announced their 2014-15 programs for the 350-passenger 11,563-ton Aegean Odyssey. From the African savannah and crystal clear waters of the Seychelles to the temples of Angkor and India’s historic Malabar Coast, Aegean Odyssey will be taking guests on an adventure to explore the history, mysteries and natural beauty of East Africa, the Indian Ocean and Asia. With land stays, shore excursions included in every port and significant early booking savings, there is no better way to see these unique regions. 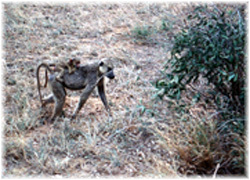 Itineraries will start with a departure from Athens to Nairobi on November 19, 2014, followed by cruises from Nairobi to Mombasa, Nairobi to Colombo and Nairobi to Singapore. In 2015, these will be followed by cruises from Colombo to Singapore, Colombo to Bali, Singapore to Bali, Bali to Bangkok, Bangkok to Singapore and a short season of cruises from Singapore before returning from Singapore to Cairo on March 11 and Delhi to Cairo on March 22, 2015.